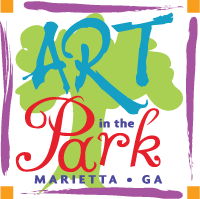 Thank you for your interest in volunteering for the 33rd annual Marietta Art in the Park. It takes volunteers to help make this festival run smoothly. We are looking forward to working with you. We have provided a few FAQ below that might answer questions you may have. When should I arrive: We kindly ask that volunteers arrive 15 minutes prior to their volunteer shift begins. Volunteer check-in is at the corner of North Park & East Park Square (across from the Strand Theater) at the First Aid/Lost Parent Tent. Once you check in, you will receive a name badge. What will I be doing when I volunteer? Volunteers will help with artist hospitality, set-up or tear down, and/or children’s area/Chalk Spot event. If you have a specific area of request or additional accommodations, please note this in the COMMENTS section. What should I wear: Please dress appropriately and according to the weather. Closed toed shoes are recommended as you may be walking around the festival grounds. What happens if it rains: The event is rain or shine. What is there to eat: During your shift, water and snacks will be provided. Food is available around the square and food trucks. Should you have additional questions, please contact Carolyn Morris at Cmorrisga@gmail.com or 404-966-8497.